Kerala weather can be summarized into winter, summer and monsoon. The winter period is from October to February. The climate at this point in Kerala is moderate and pleasant. Summer is generally in between March and May and the climate is hot and humid at this time of the year. During monsoons that lie between June and September, the atmosphere is rainy and windy. Winter is the best and peak season because it has pleasant climatic conditions with respect to any other state of India. Since the temperature drops down slightly, climatic conditions remain a bit mild and pleasant. 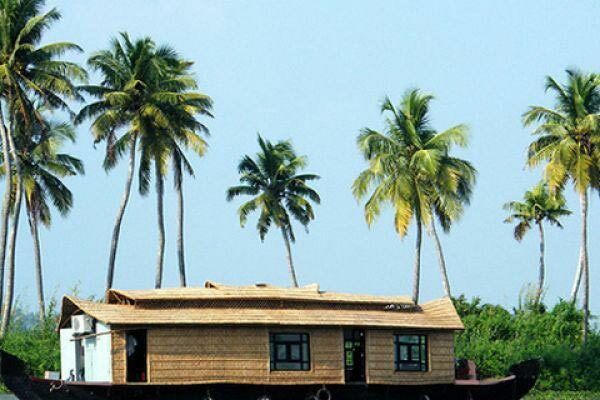 It is therefore the most preferable time to enjoy at the beaches, backwaters and the hills of Kerala. Winter period of Kerala is also the best time to witness some of the greatest Hindu festivals of the country, Christmas eve celebration and traditional festivals and customs. One feels like a true Keralite during this time of the year because of all the occasions happening in and around the place. If you're planning for a tour in Kerala, book your hotel rooms and/or airline/train tickets in advance so that you can witness God's own country's magic at its best. Best time for heavy discounts and budget holidays in Kerala is during the summer. 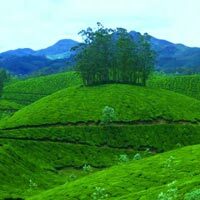 The climate remains hot and humid at this time but the hill stations of Munnar and Thekkady are pleasant at this time. Kerala during monsoon is best for Ayurvedic Treatment. 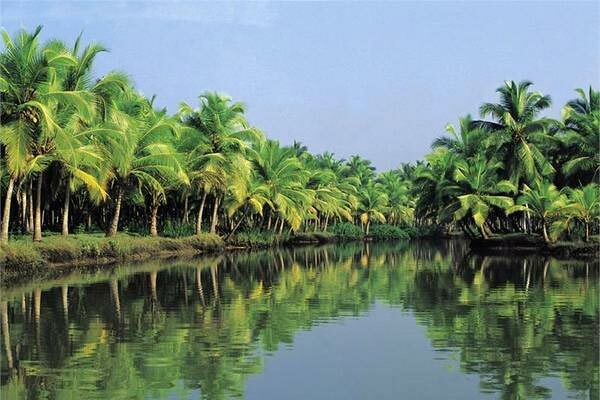 The preferred time to visit Kerala is during April and October. With the Arabian Sea in the west, the Western Ghats towering 500-2700 ms in the east and networked by 44 rivers, Kerala enjoys unique geographical features. This has made it one of the most sought after destinations in Asia. 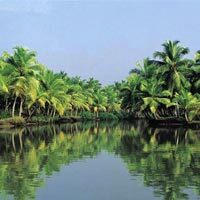 An equable climate, long shoreline with serene beaches, tranquil stretches of emerald backwaters, lush green hill stations, exotic wildlife, cool waterfalls, sprawling plantations and paddy fields are what define Kerala. Apart from these, the Ayurvedic health holidays, enchanting art forms, magical festivals, historic and cultural monuments, and mouth watering cuisine, all add up as delights of the place. These charming destinations offer a unique experience and are located at a distance of just two hour drive from each other. This is a singular advantage that no other destinations offer. The beautiful palm fringed beaches of Kovalam and Varkala and the majesty of the undulating hills of Munnar and Vagamon are some of the many reasons to visit the heavenly land of Kerala. The serenity of the pristine backwaters of Kumarakom and Kuttanad and the enchanting woods and forests of Thekkady and Silent Valley will have you bowled over again and again and again. 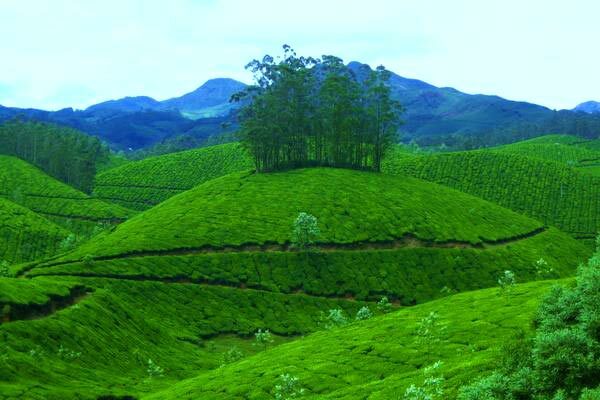 The hill station of Munnar is situated in the Idukki District in the eastern part of Kerala, bordering the state of Tamil Nadu. Popularly known as Kashmir of the South.Munnar is located amidst mist-covered mountain ranges and evergreen forests of the Western Ghats.The name Munnar was aptly given to this place since it is located at the convergence of three rivers, which are Mudrapuzha, Nallathani and Kundala. 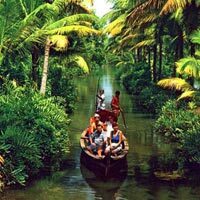 Alleppey, also known as Alappuzha is often called as "Venice of east" because of its numerous waterways. These huge networks of lagoons, canals, and lakes are the lifeline of Alleppey.Alleppey the ideal headquarters for backwater tourism as well as for visits to the lovely church filled town of Kottayam, and the town of Aranmula, famous for its historic Aranmula Snake Boat Race which is an annual event. Alleppey is also known for its spectacular snake - boat races held on the second Saturday of August, every year. This competition - the Nehru boat race takes its name from India's first prime minister Jawaharlal Nehru, who inaugurated in 1952. It is excitement all around as snake - boats , each manned by over a hundred oarsmen, cut through the waters like wind. With the Arabian Sea in the west, the Western Ghats towering 500-2700 ms in the east and networked by 44 rivers, Kerala enjoys unique geographical features. This has made it one of the most sought after destinations in Asia. 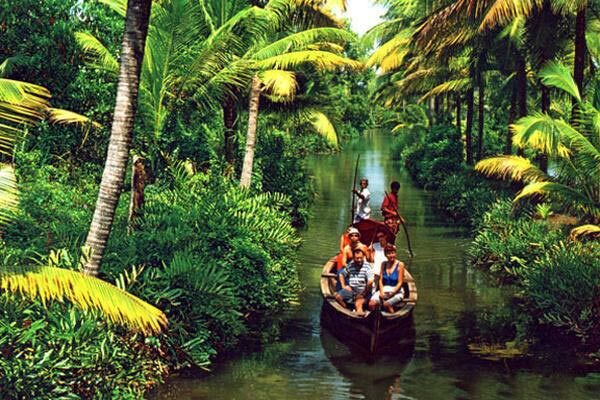 An equable climate, long shoreline with serene beaches, tranquil stretches of emerald backwaters, lush green hill stations, exotic wildlife, cool waterfalls, sprawling plantations and paddy fields are what define Kerala. Apart from these, the Ayurvedic health holidays, enchanting art forms, magical festivals, historic and cultural monuments, and mouth watering cuisine, all add up as delights of the place. These charming destinations offer a unique experience and are located at a distance of just two hour drive from each other. This is a singular advantage that no other destinations offer. The beautiful palm fringed beaches of Kovalam and Varkala and the majesty of the undulating hills of Munnar and Vagamon are some of the many reasons to visit the heavenly land of Kerala. The serenity of the pristine backwaters of Kumarakom and Kuttanad and the enchanting woods and forests of Thekkady and Silent Valley will have you bowled over again and again and again.3.50% Government service tax extra. 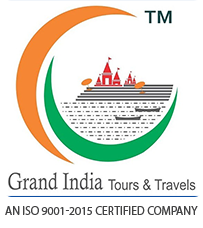 Our friendly representative welcomes you at Cochin Airport or Railway Station and helps you proceed to Munnar. It is called as Nature Lovers Paradise and is at 1800 metres above the sea level. On the way to Munnar, youll visit the Cheeyappara waterfalls. 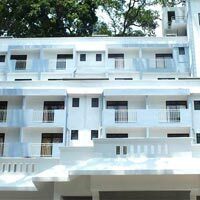 Check-in to hotel/resort and enjoy an overnight stay at the Munnar hotel. After breakfast, tour proceeds for Munnar sightseeing. A morning visit to Eravikulam National Park is sure to refresh you. 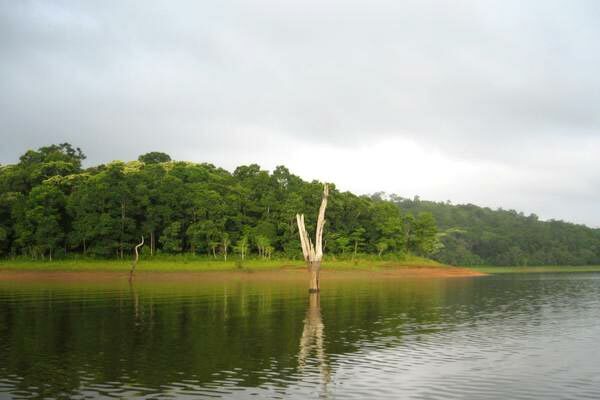 In the afternoon, visit Mattupetty Dam/Kundala dam for boating, Eco point and Tata Tea museum. Evening at leisure. 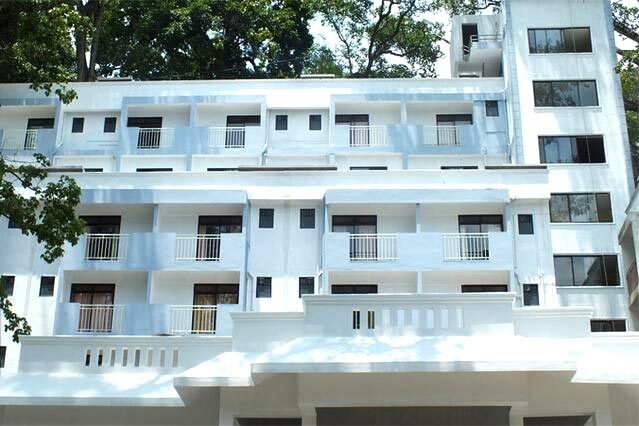 Overnight stay at Munnar hotel. Checkout from the hotel/resort after breakfast and proceed to Thekkady. Check-in to hotel/resort. 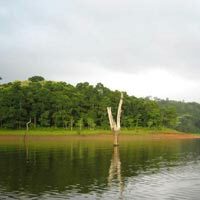 Sightseeing of Thekkady: Go for Plantation Tour, Evening boat ride to National Park. Shop around during evening marked for personal leisure time. The day completes with an overnight stay at Thekkady. After breakfast, checkout from the hotel and proceed to Alleppey which has natural beauty in abundance. 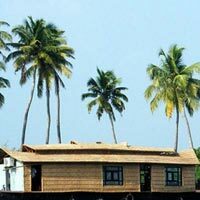 It is also known as the Venice of the East and is famous for the backwaters, boat races, houseboat holidays, beaches, marine products and coir products. Check-in at your hotel and visit beach in the evening. End the day with an overnight stay at the hotel. After breakfast, checkout from the hotel so as to proceed to Cochin. Check-in at the hotel/resort once you reach Cochin. The day comprises sightseeing places at Cochin like Dutch Palace, The Jewish Synagogue, St. Francis Church, Chinese fishing nets, Santa Cruz Basilica etc, Also, get to view an array of shops with antiques, fabrics & jewellery. Thereafter, return back to the hotel for an overnight stay. After breakfast, our representative helps you to proceed to the airport /railway station for your departure.